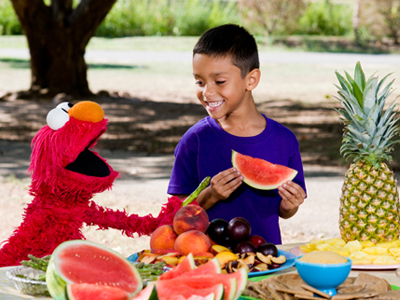 There are many ways to involve your child in building healthy eating habits. Include your child as you shop and cook, and also take time to share meals together. You’ll be building family relationships while encouraging habits that last a lifetime. Involve your child in grocery shopping! It is a great way to focus on making healthy food choices as a family. Try to stay around the edges of the grocery store as you shop. That’s where you will find fresh fruits and vegetables, low-fat dairy, and whole-grain breads. The inner aisles often have packaged foods that are less nutritious and more expensive. 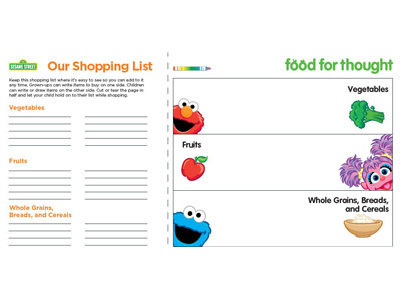 When shopping with your young child, ask him to find fruits and vegetables in every color of the rainbow. He could also point out anytime foods (fruits, veggies, whole-wheat bread, low-fat milk, or whole grains). Cook together! Cooking with your child makes meals special. You’re helping your child learn about healthy choices and spending quality time with each other. Include your child in simple activities such as pouring or measuring ingredients. As you are making meals together, expose him to the smell and taste of new foods. 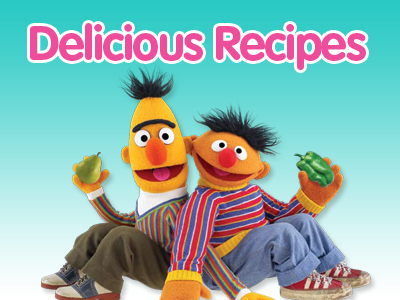 Children are more likely to try new foods if they are involved in making meals. The whole family might not always be able to eat together, but finding time to eat with your child has many benefits. Sharing meals and snack times is a great way to talk about your child’s day, discuss her concerns, or share stories. 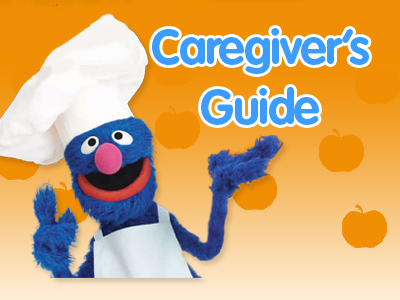 You can also introduce new foods, teach your child about healthy choices, and be a healthy eating role model! Watch and Talk: After watching the video, have your child describe the Bear family’s problem. How did they solve it? Talk about what your child likes most about family mealtimes. Play and Do: Let your child play the Family Food game. Then choose a recipe and plan the steps needed to make it together. Guide your child on how to be safe in the kitchen by pointing out things to avoid, like the stove, or by explaining that sharp knives should only be used by adults. Healthy snacks are an important part of what your child eats each day. Talk about healthy snack foods: fruits, vegetables, whole-grain crackers, or low-fat yogurt. Get into the habit of packing healthy snacks before you leave the house. It will help you save money. Plus, you’ll get more nutrients from your healthy snack choices than from packaged foods. Watch and Do: After watching the video, visit the “Healthy Snacks” playlist (see below) with your child. Once he knows all about healthy snacks, involve your child in planning and making them! Have even more fun with a snack theme, such as a favorite color (orange carrots with orange cantaloupe slices; white bananas with nonfat white cottage cheese). Your child might have favorite foods that he likes to eat at every meal, but it is important to let him experiment with new tastes and textures. Encourage your whole family to try new foods. Serve one new food at a time, as serving too many new foods can be overwhelming. Be patient. 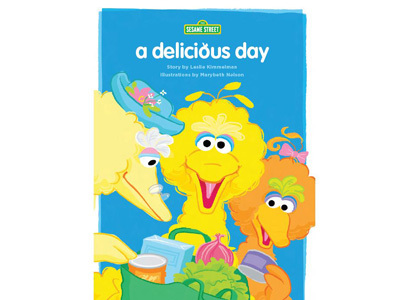 Many young children need to try a food about 10 times before deciding they like it. 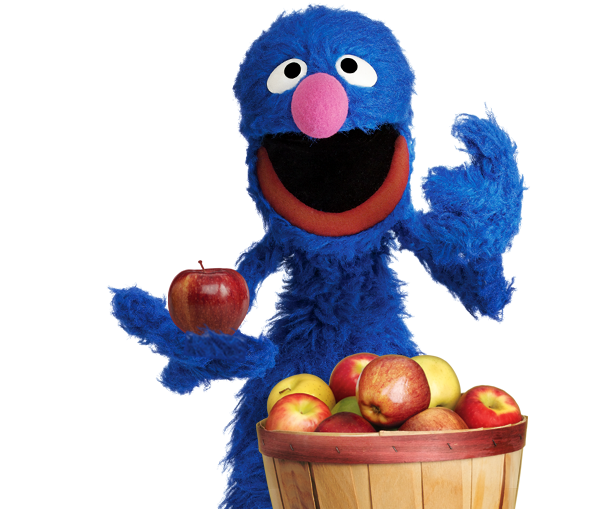 Watch and Do: In this video, Elmo tries a new food and discovers he likes it! Offer your child a new food. Ask him to describe how it tastes, feels, and smells. Then let him taste it. If he doesn’t love it right away, remember to try again another time. Congratulate your child for trying! 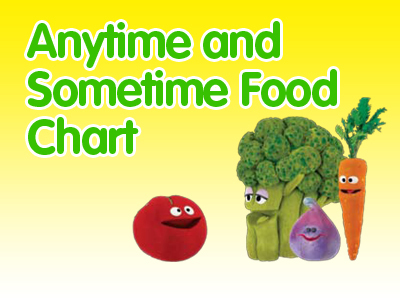 Trying a variety of foods gives your child more choices at mealtimes. Introduce new foods by combining them with some of his favorite foods. Try serving a new vegetable with his favorite low-fat dip. Or try different ways to enjoy the same food. See which ways are his favorites. If he doesn’t like baked sweet potatoes, try serving them mashed, pureed, or boiled. If he didn’t like the taste of raw broccoli, try steaming it. 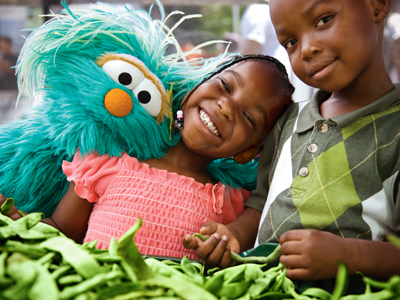 Growing fruits and vegetables is an inexpensive way to get healthy foods and a fun way to spend time as a family. If you don’t have the space for a garden at home, try planting fresh herbs in a window box or tomatoes in a pot. You might also look for a community garden in your neighborhood.